Ashampoo Uninstaller 4 completely eliminates this problem. It lets you test software with confidence because you can be sure that no trace of programs you remove are left anywhere on your system. It does this by comparing compact "Before" and "After" snapshots that identify exactly where all program components and settings are located. Uninstalling is completely safe, with automatic backups and a special Reinstaller for quickly reinstalling programs with all their settings. In addition to uninstalling, you can also use UnInstaller`s comprehensive "Before" and "After"comparisons to monitor and identify the secret activities of any program - for example hidden files and Registry keys. Tee Support provides 24/7 professional and cost-effective online tech support for Windows users and businesses. 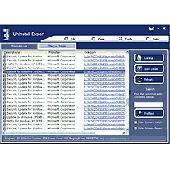 Revo Uninstaller is a freeware innovative uninstall utility much faster than Windows Add/Remove applet. . 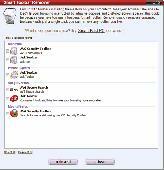 This is a handy application that was created in order to help you quickly remove all traces of Zone Alarm products from your computer. . This is a handy application that was created in order to help you quickly remove all traces of Zone Alarm products from your computer.